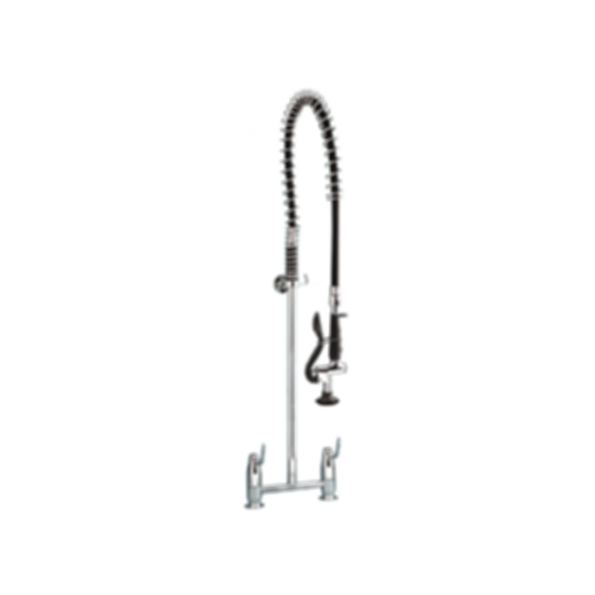 TF83HJS Ezy-Wash® Pre-Rinse Food Service Tap by Galvin Engineering. Hob Mounted Exposed Mixing Pre-Rinse Unit Type 83H. Made for Autodesk Revit. -1⁄4 turn jumper valve hot and cold control tap with 100mm lever. -15mm BSP male connection on the inlets. 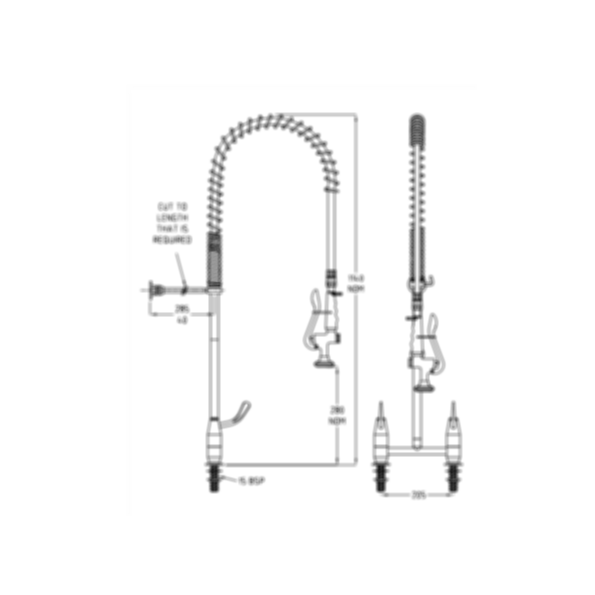 -1000mm long high pressure hose with swivel ends.